Carry your calm into the world with the iconic style of Vivienne Westwood® Grace Open Bangle. Silver and gold-tone bangles with crystal encrusted orb emblem accent. 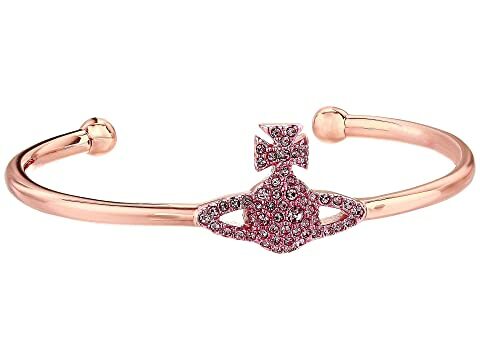 We can't currently find any similar items for the Grace Open Bangle by Vivienne Westwood. Sorry!